There are VR contents platform that provide not only various contents but also some solutions. The beginning of Jamong is when Mr.Yoon, the representative of Jamong, learned about Oculus DK1. His initial plan was making a VR SNS based on image but he turned to VR videos. This is today’s Jamong that provide VR contents supply solution service, similar to Youtube, a video platform. 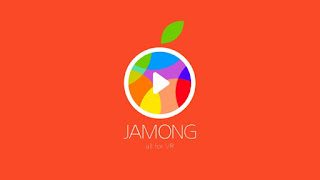 VR video producers can open their channel in Jamong and if they upload their contents then users can watch it through the Jamong application. This is the way that you can use Jamong. Jamong has many advantages. 1. VR player development, CDN, Incoding, DB Administration, member management and contents sale are all available in Jamong. 2. Users can make a profit of their VR contents through contents sale, monthly fixed amount or donation not by commercial. 3. Jamong provides Android, IOS, Playstation VR, Oculus VR, Gear VR and also web platform. 4. Live VR broadcast is available. 11 channels and about 120 paid or free contents are uploaded in Jamong Android application until April 2016. Also, Jamong is selling VR contents for adults for the first time in Korea. Jamong is providing not only various solutions to the VR video producers but also many service like VR live broadcast to the users. Furthermore, Jamong is preparing more technologies such as making the video keep playing while the user is watching a specific spot or making different story with various interactive elements like in Miyeonsi game (Girlfriend simulation game). FX Gear and Nextcore made a VR HMD named Noon VR. FX Gear is a computer graphic company and work with Dreamworks, Bluesky, and Samsung electronics. The great advantage of FX Gear is known as graphic solution aiming Studios and IT manufacturers. Noon VR is a 3D HMD which is compatible with all kinds of smartphones. It has less sickness because of it tracks the user’s eye faster than other devices. 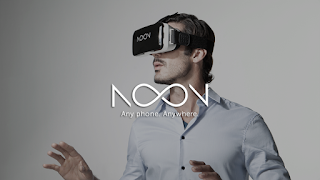 Users can download Noon VR app for free in Google play or Apple app store. However, if you want to watch contents then you should put the activation code which is written in the manual of Noon VR HMD. Don’t forget that you can also watch your 2D videos which are saved in your smartphone through this device. FX Gear released a VR•AR platform called N-Star on May 2016. They wanted N-Star to be a VR video distribution channel like Youtube and then becoming an on•offline shopping service by making online virtual fitting shopping mall named ‘FITN shop’. Actually, N-Star is like Youtube, but the difference is that it is a VR media social platform based on real story made by each of users. N-Star used Lee Jeein as a model who was a previous girl group member. In N-Star platform few VR videos about virtual dating, Interview and daily life of Miss Jeein is uploaded and received much attention from the people. This seems similar to Africa TV in VR market. Can N-Star make a VR star similar to many BJ stars from Africa TV? It seems little bit hard, however, to make that kind of ecosystem because users need to know how to take 360 videos and they need to use Noon VR if they want to be a VR star. When people are more used to VR market then it could be a very attractive platform. There are more platforms than Dooribun, such as VRN which deliver VR related news and WAVRP which curate VR videos. That means that many companies are concentrating on content market now. We wish VR contents of VR social channels to grow like previous SNS channels.